The 5,000-plus cups of Chobani Greek yogurt that were supposed to be sent to the Sochi Olympics but were denied by Russian customs will instead be donated to New York City food pantries — but they are a tough sell, workers said on Thursday (Feb 13th). “They look at it and go, ‘Eww.’ They never ate something like it before. 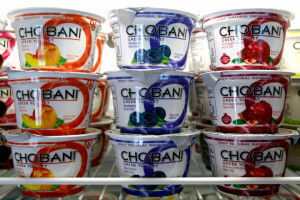 [They] are used to the sweet yogurt,” said Debbie Torres, a kitchen worker at Food Bank For New York City, which will receive loads of Chobani this week. “I educate them. I tell them to put some granola in the Chobani… I say, ‘Try it!’” said Torres, adding the West Harlem food pantry has been given cups of the yogurt in the past. The creamy snack caused a stir last week when Russian officials blocked cases of it bound for the US Olympic Team in Sochi, claiming the U.S. Department of Agriculture didn’t have a proper certificate for shipping dairy products. Sen. Chuck Schumer (D-NY) then took a stand, imploring the Russians to let the shipment through while pointing out the yogurt would not be for sale. But Schumer backed down on Thursday, explaining stubborn Russians officials simply won’t budge. Instead, the yogurt, which was stored in a refrigerator at the airport, will go to Saint John’s Soup Kitchen in New Jersey and to the Food Bank For New York City, Schumer said. Swimmers and sunbathers were caught by surprise after a bizarre weather phenomenon, known as a meteorological tsunami, hit the Brazilian coast causing cars to crash across the beach. According to UNESCO a meteorological tsunami (or meteotsunami) is a tsunami-like phenomenon generated by meteorological, or atmospheric disturbances. These waves can be produced by gales, typhoons, hurricanes and other atmospheric sources. The beach, which is the longest in the world, saw waves swell and reach spots where people had parked their cars. Amateur footage (see below) shows vehicles, strewn across the the beach, some having even crashed into each other due to the force of the waves. No one was injured and locals said that they had seen similar incidents in the area. An error at northern Illinois gas station caused pumps to sell fuel for a penny a gallon. 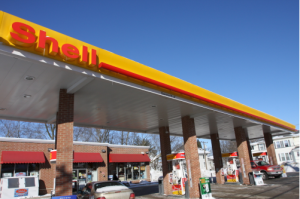 The Northwest Herald reports a Shell station in Woodstock, IL wound up mistakenly selling the nearly-free fuel for about two hours Sunday night. “The clerk didn’t appear to be aware [of the price change],” Leard said. “I don’t know that I’ve ever seen gas for a cent,” he said. The mistake could have been a computer error or a human error, as price changes need to be keyed in by an employee, DeHaan said. Leard says the station clerk working at the time wasn’t aware of the glitch. It wasn’t clear how much gas was sold. 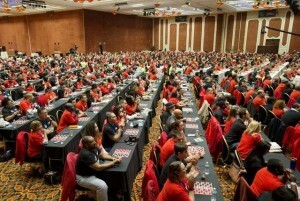 540 checkers players set Guinness world record in Reno, Nev.
Five hundred and forty checkers enthusiasts who met in Reno, Nevada, Saturday, February 9th, set a Guinness world record for number of people simultaneously playing the game. A majority of the players at the Peppermill Resort Spa Casino sported red-and-black “King Me” T-shirts as they made their pieces jump around their playing boards, the Reno Gazette-Journal reported. “It was a pleasure to bestow the title of Most People Playing Checkers, or Draughts, Simultaneously to the PHP Agency in Reno,” Guinness World Records adjudicator Philip Robertson said in a statement. It was the first time the record had been attempted. From The New York Post, London’s Daily Telegraph, the Boston Herald and UPI News.